The American legal system reinforces the prioritization of pedestrians over vehicles: under all state laws, walking is a right while driving is a privilege. When discussing the upcoming impact of autonomous vehicles on society, a street video of urban life from over 110 years ago paradoxically provides clues on what urban life could become. The film “A Trip down Market Street” shows the vitality of Market Street in San Francisco in 1906, from the perspective of a camera mounted to the front of a moving cable car as it progressed from 8th street to the front of the Ferry Building. For our purposes, what is fascinating about this film is that it shows the way the streets were inhabited in 1906. People walk anywhere and in whatever direction they wanted. The automobile at the time was a very new innovation; streetcars, cable cars, and horse drawn buggies feature prominently in this transitional moment before the automobile asserted its dominance. [i] There is a complete lack of traffic control for the street network. The first road markings in the US are three years away, in Wayne County Michigan. The first electric streetlight won’t be invented until 1912 in Salt Lake City. The first stop sign is 9 years away, also in Michigan. Painted crosswalks are invented many years later in England in 1948, replacing raised beacons and posts. Autonomous braking will make us reconsider whether jaywalking should be illegal in urban places. For pedestrians, autonomous braking will likely be the most empowering of all autonomous innovations. Anybody will have the power to stop traffic. With automated breaking, pedestrians will KNOW that they can walk in front of a post-2022 car at any time. There won’t be a safety issue, but there will be a tremendous traffic policy issue that will arise. Pedestrians will be able to stop vehicles equipped with autonomous braking, and hold up traffic at anytime, anywhere. 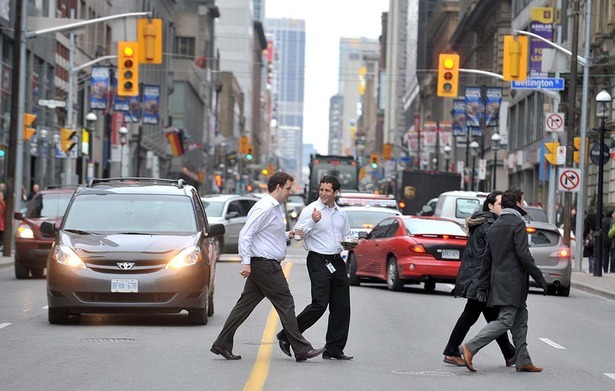 Jaywalking will greatly increase, as individuals are emboldened by their newly given powers. This will pose challenges for local traffic authorities, particularly in urban areas. 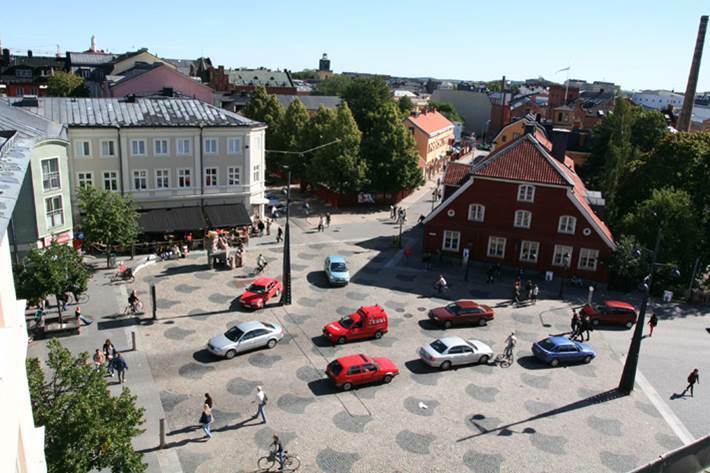 In many places, new vehicle vs. pedestrian conflicts will force jurisdictions to choose between defining their public realms as primarily for pedestrians, or alternately for the throughput of vehicle volume. 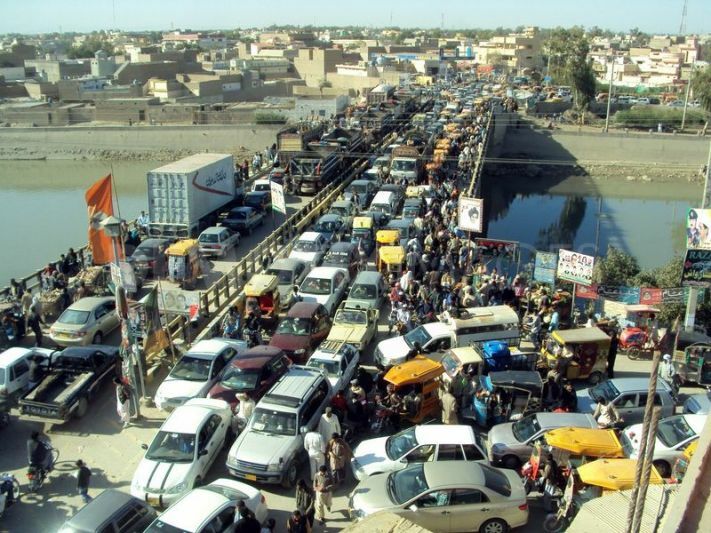 If vehicle flow is given priority, measures to restrict access for pedestrians would need to be added, as currently established with the Controlled-Access design of the Interstate Highway system in the United States. These measures can already be seen within urban areas of the American landscape, erected in the name of safety. 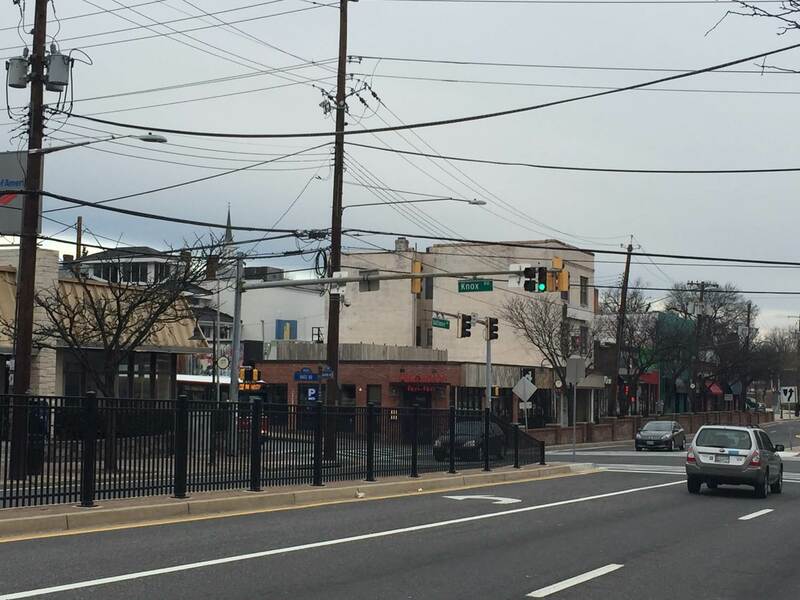 In the heart of the retail corridor in the center of the University of Maryland in College Park, MD along Baltimore Avenue, walls and fences have been erected at the edge of active sidewalks and in the center median to control jaywalking and allow vehicles to have priority over pedestrians, forcing pedestrians into defined crosswalks. At bus transfer stations along other state highways, Montgomery County, MD is also erecting fencing along sidewalks and medians which prioritizes vehicle roadway travel over pedestrian flow to and from the station. 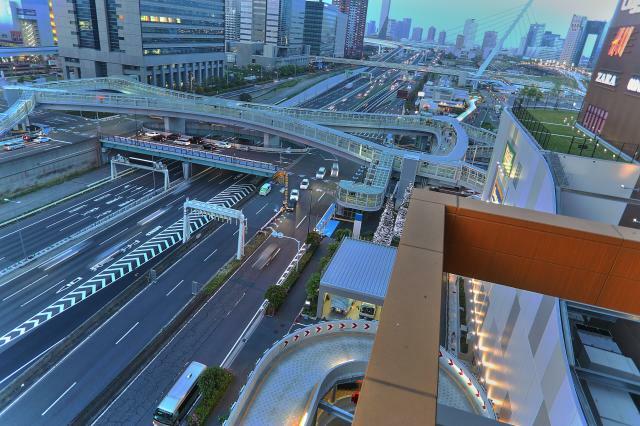 Internationally, particularly in Asia, urban pedestrian flow has been corralled, caged, tunneled and bridged when vehicular throughput has been deemed particularly important. 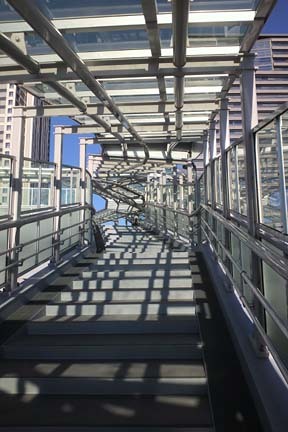 Examples abound in Shanghai and other cities in China; Shinjuku and many other locations in Tokyo, Japan, where pedestrians are caged to separate them from vehicular flow. With autonomous braking, entire downtowns have the capability of being shared spaces, and perhaps rid of traffic controls - be crosswalk, curb, and stoplight free. But the cost of this would be that the overall speed of these places would be reduced back to that of the pedestrian, harkening back to the San Francisco of the early 1900s. This would result in the intentional limitation of vehicular throughput, potentially segregating vehicles to outside conduits or public transit corridors in distinct guideways. As we approach 2022, towns, cities and jurisdictions must think carefully about what model they want to follow – that of the caged pedestrian where vehicle traffic is prioritized, or the shared space street where the pedestrian has primacy. Ultimately, both models may have their place, but we need to take the time to figure out which model is appropriate where and how we can implement them in ways that enhance the livability and viability of our towns and cities. [iii] District of Columbia, http://www.dcvisionzero.com/, accessed March 26, 2017; City of Boston, https://www.boston.gov/news/bostons-new-default-speed-limit-25-mph-effective-jan-9-2017, accessed March 26, 2017. 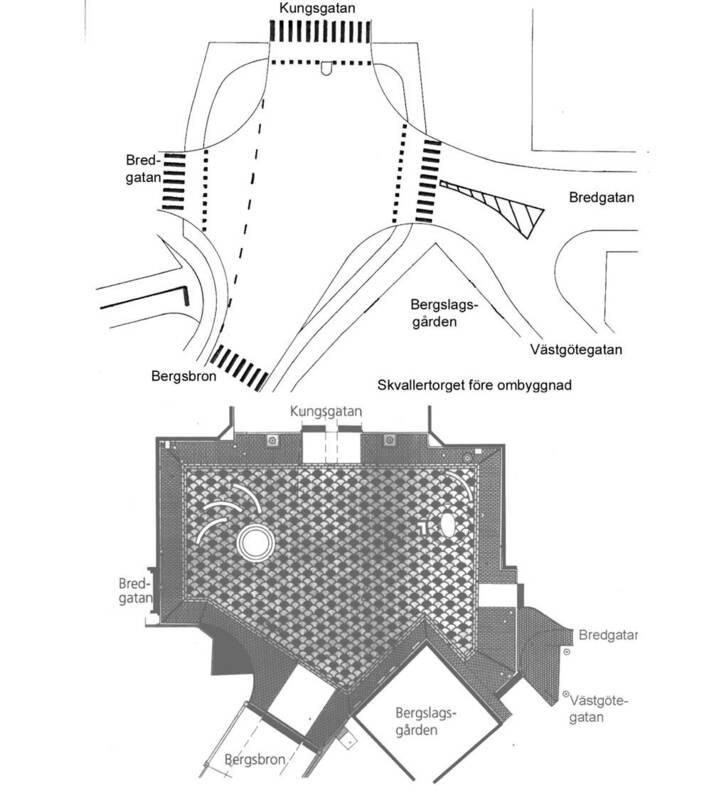 [iv] A good case study for this impact is at Norrköping, Sweden, where traffic incidents went down when curbs and crosswalks were replaced by a uniform masonry paving plaza from building face to building face.